Rosemary Nowak has a PhD in Human Services from Capella University and a Master’s Degree in Counseling from Southwestern College (2003). Dr. Nowak is also a Licensed Professional Clinical Counselor (LPCC). Additionally, she holds certifications in CITI (Collaborative Institutional Training Initiative) and is HIPPA certified. Rosemary has over 15 years of experience in clinical and mental health. 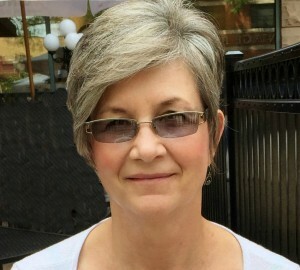 Before joining Youth Shelters and Family Services, Rosemary worked for the State of New Mexico in the department of CYFD for over 6 years and also worked as a Psychotherapist with Santa Fe County Corrections for 3 years. Rosemary has been a Hospice Volunteer since 2001 and a Registered Circle of Security Parent Educator since 2001. As the Director of Clinical and Program Services, Rosemary provides clinical supervision, consultation, and oversight for Youth Shelters and Family Services’ programs; conducts clinical case reviews; reviews and provides oversight of program clinical policies and procedures; provides counseling services for programs; develops and implements staff training and education; and assists the Executive Director in managing managed care contracts.